The hands-free app now allows users to tweet, send direct messages and more using voice commands. WonderVoice has released an update for its hands-free voice assistant app on iOS, bringing Twitter integration to the platform. 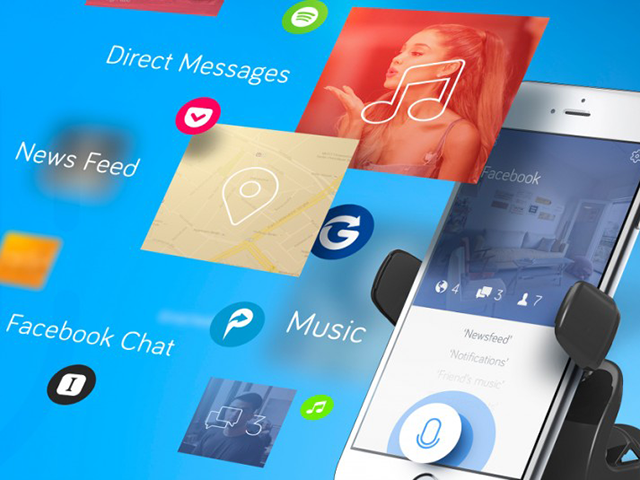 The WonderVoice app allows users to interact with supported apps using only their voice. With this update, WonderVoice can now read tweets to users from their Twitter timeline, and users can also tweet or reply to tweets by vocally telling WonderVoice what to post. In addition, users can ask the app to read tweets from specific accounts, or search for hashtags using their voice. Finally, the app allows users to retweet and ‘like’ tweets, as well as send direct messages, using voice commands. Language is extremely dependent on context and purpose. By studying and understanding the different uses of non formal language, we are able to build adaptive contextual speech recognition that can cross platforms, and thus provide users with the freedom to vocally interact with any application they choose by providing the ultimate hands-free experience. In addition to Twitter, WonderVoice provides hands-free interaction for apps like Facebook, Spotify, YouTube, Glympse and Pocket. The app can also be used to access real-time weather updates, and can help users find nearby parking places in over 500 cities around the world, with parking info powered by ParkMe.